It is one more sign of our respect for each other than we value and protect your privacy and put a high priority on your security. 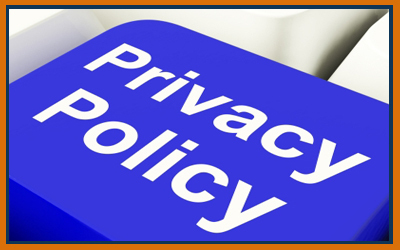 PLI is committed to protecting your privacy and to delivering the finest services that we possibly can. We work constantly to provide you with the best possible on-line services and access without sacrificing your privacy or security. As you know, it is a constant challenge in a constantly changing environment. Ideas of privacy and ideas of services change rapidly. For those reasons, we want you to understand what information we collect and how we use and protect it. This notice serves as a standard for all of our employees for collection, use, retention and security of nonpublic personal information. In order to access some of our services, you will be asked to sign in with an e-mail address and password, which we call your credentials. In most cases, these credentials will be part of our network, which means you can use the same credentials to sign in to many different sites and services of ours, as well as those of select partners and affiliates. By signing in on one site or service, you may be automatically signed in to other affiliated sites and services. If you access our services by means of a mobile phone, you may also use your telephone number and a PIN as an alternative credential to your username and password. As part of creating your credentials, you also may be requested to provide secret answers to questions, which we use to help verify your identity and in resetting your password, as well as any alternative email address. Some services may require added security, and in those cases, you will be asked to create an additional security key. Finally, a unique ID number may be assigned to your credentials which will be used to keep current your credentials and associated information. We ask you to provide personal information because we will not be able to do the best possible job delivering the services you want from us unless that information is available to us. The information we collect may be combined with information obtained from other sources, including our own companies, affiliates and partners. We use the information we collect to provide the services you request, to improve our services, and to optimize opportunities for you, guided by your preferences. Our services may include providing you with more effective customer service; making the sites or services you select more personalized by eliminating the need for you to repeatedly enter the same information; performing research and analysis aimed at improving services and technologies; and displaying personalized content and advertising that are customized to your interest and preferences. We work to collect just the personal information useful to providing our services and to assisting you in avoiding difficulties as you work with other government agencies and NGOs (“non-governmental organizations”) that you may find useful in pursuing the goals related to your studies and relationships with us. We also use your personal information to communicate with you. We may send certain mandatory service communications, letters, billing reminders, information on technical service issues, and security announcements. Some services we undertake may send periodic member letters that are considered part of the service. We also may occasionally send you product promotional mailings to keep you abreast of other products and services available from us and our affiliates. Our web pages also may contain electronic images known as Web beacons (sometimes called single-pixel gifs) that may co-exist or assist in delivering cookies on our sites and allow us to count users who have visited those pages and to deliver co-branded service. We also may include Web beacons in promotional e-mail messages or our newsletters in order to determine whether these messages have been acted upon. We also employ Web beacons from third parties in order to help us compile aggregated statistics and determine the effectiveness of our promotional campaigns and user contacts. Finally, we may work with other companies to place Web beacons on their sites in order to develop statistics on how often clicking on an advertisement or message on one of our sites results in a purchase or other action on the other site. We have permitted other companies, called third-party ad servers or ad networks, to display advertisements on our Web pages. Some of these companies place a persistent cookie on your computer in order to recognize your computer each time they send you an online advertisements and determine which ads are clicked on. This information allows an ad network to deliver targeted advertisements that they believe are of the greatest interest to you. We do not have access to the cookies that may be placed by third-party ad servers or ad networks. You may find more information at the Web site of either the individual ad network or the www.networkinitiative. We are concerned about controlling unsolicited commercial e-mail, or “spam.” We do not knowingly permit any e-mail account to send spam. We will not sell, lease or rent our e-mail subscriber lists to third parties, except in conformity with this Policy. We continue to actively review and implement new technology, such as expanded filtering features, though there is no current technology that will totally prevent the sending and receiving of unsolicited e-mail. Using tools such as the Microsoft Inbox Protector and carefully restricting the sharing of your e-mail address while online will help reduce the amount of unsolicited e-mail you receive. We do not sell, rent, or lease our customer lists to third parties, except in conformity with this Policy. In order to help provide our services, we occasionally provide information to other companies that work on our behalf. However, we do not share information about you unless permitted by applicable laws and regulations or this policy. Except as described in this statement, we will not disclose your personal information outside of our group of companies and its controlled affiliates without your consent. Some of our sites allow you to choose to share your personal information with select affiliates and others so that they can contact you about their products, services or offers. You are able to determine your communication preferences in these sites. Some of our services may be co-branded or affiliated and offered in conjunction with another company. If you register for or use such services, we and the other company may receive information collected in conjunction with co-branded or affiliate services. We occasionally hire other companies to provide limited services on our behalf, such as handling the processing and delivery of goods or providing customer support, hosting websites, processing transactions, or performing various analysis of our services. These companies will be permitted to obtain only the personal information they need to deliver the service. They are required to maintain the confidentiality of personal information and are prohibited from using it for any other purpose. We may access and/or disclose your personal information if we believe such action is reasonable or necessary to: (a) comply with the law or with process served on our company(ies); (b) protect and defend the rights our company(ies), including the enforcement of our agreements with you or others; or (c) in urgent circumstances to protect the personal safety of users of our services or members of the public. We educate our employees about the importance of protecting personal information and consumer privacy, and only authorized employees have access to restricted or private personal information. We are committed to protecting the security of your personal information. We use a variety of security technologies to help you protect your personal information from unauthorized access, use, or disclosure. For example, when we transmit highly confidential personal information, such as credit card billings or passwords) over the Internet, we protect it through the use of security tools, including encryption such as the SSL protocol. If a password is used to help protect your personal information and accounts, it is your responsibility to keep your password confidential and secure and not share this information with anyone. If you are sharing a computer with anyone you always should choose to log out before any other user uses the computer to protect access to your information from subsequent users. You can stop the delivery of promotional e-mail from our site or service by following the instructions in the mail you receive. Please let us know if you have any problems, issues or concerns. This is a rapidly changing area of the computer and Internet environment and can present sudden or unexpected issues with little or no warning. We always are grateful to hear from you.